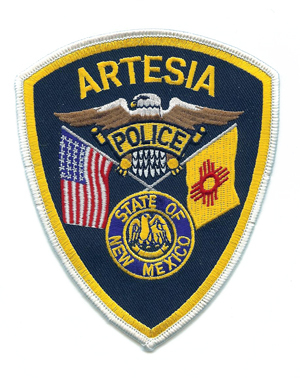 The Artesia Police Department made three arrests on a variety of charges and also responded to a shots fired call at a busy intersection Thursday. The first arrest led to a large police presence in the area of 20th Street and Mann Avenue, near Yeso Elementary School, Thursday morning that was noticed by several parents dropping off their children. That incident began when APD officers were dispatched to the 2100 block of Mann in reference to a subject sleeping in a resident’s car. The man, later identified as Ernesto Lopez, 24, of Artesia, was sitting in the passenger seat of the vehicle in question, slumped over the center console. According to the criminal complaint, police observed a pair of wire clippers protruding from his back pocket, along with documents spread about the driver’s seat. Police were able to wake Lopez and ordered him out of the car, at which time he began running east on Mann toward 20th Street. He continued running north on 20th before turning into the north alley between Mann and Bullock Avenue. Lopez hid behind a shed in the backyard of a home on the southwest corner of Bullock and, when confronted by police, attempted to run north through the backyard. After encountering a gate, however, he was forced to stop to open it and was grabbed by police. The vehicle belonging to the Mann Avenue resident was inspected, and the glove compartment was found to be open and mostly empty. In addition to the wire cutters found on Lopez’s person, a pair of bolt cutters was also found inside a backpack he was wearing. Lopez was arrested on charges of burglary of a vehicle, possession of burglary tools, and resisting, evading or obstructing a peace officer. He was also served two magistrate warrants for failure to appear and failure to pay fines. He has been scheduled for a 10 a.m. Oct. 10 preliminary examination before Judge Daniel Reyes Jr. in Artesia Magistrate Court. Around an hour-and-a-half later, officers patrolling in the 1300 block of Yucca Avenue encountered an individual later identified as David Rutherford, 28, of Artesia, walking westbound. Upon spotting police, Rutherford turned and began to run. Officers ordered him to stop as he entered the alley from a backyard; Rutherford initially ran back toward the street but stopped upon re-encountering the police. According to the complaint, when officers ordered Rutherford to remove his hands from his pockets, they observed drugs and drug paraphernalia on his person. Rutherford was arrested on charges of possession of marijuana, possession of drug paraphernalia, and resisting, evading or obstructing a peace officer. 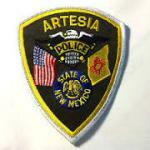 He is scheduled for a 1 p.m. Oct. 24 pre-trial hearing before Reyes in Artesia Magistrate Court. That same evening, police were dispatched to the 300 block of South 20th Street, where a resident had observed an individual in the alley near a neighbor’s car. Upon entering the alley, the resident spotted the individual attempting to hide in the driver’s seat of the vehicle. When the resident approached, the man fled. Police inspected the vehicle, noting the passenger-side windshield had been broken and the interior of the car rummaged through. Officers were able to locate the suspect, identified as Aaron Vasquez, 20, of Artesia, and he was subsequently arrested on charges of burglary of a vehicle, criminal damage to property (under $1,000), and possession of drug paraphernalia. He is scheduled for a 1 p.m. Oct. 10 preliminary examination before Reyes in Artesia Magistrate Court. Vasquez was also charged with criminal trespassing and has entered a not-guilty plea. His pre-trial hearing on that charge will be held concurrent with his preliminary examination. Finally, around 8:15 p.m. Thursday, several APD officers were dispatched to the intersection of 20th Street and Grand Avenue in reference to shots fired. Around eight shots were fired, with police marking the area between the southeast and southwest corners of 20th and Grand. Police investigated the area and spoke with residents of the nearby apartment complex, but no injuries or property damage were reported.